What do you get when you mash Looney Tunes, Naked Gun, and the Justice League trailer together? You get one of the wackiest and funniest movie trailer parodies ever to come down the internet. Created by the twisted mind of Aldo Jones, the 3-minute video is a gag-a-second spoof featuring Danny Trejo as Wonder Woman, Ghostbusters (all of them), Eddie Murphy as Cyborg, a Pez-head Gal Gadot for some reason and a ton of other bizarre visuals. 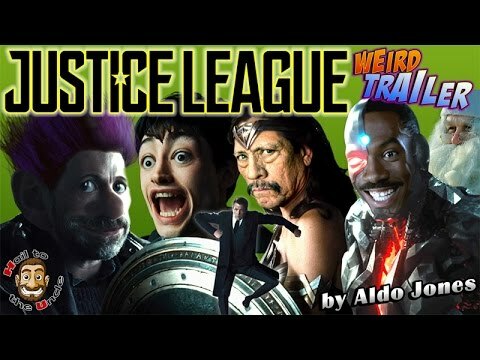 The video is so weird it's appropriately called "Justice League Weird" and you don't even need drugs to enjoy it but you'll feel like you went on an acid trip. Enjoy!